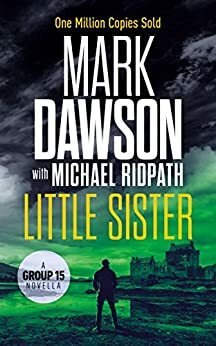 Mark Dawson is a British author, popular for his John Milton thriller series and his several spin-off series involving other members related to Group 15. Here are the Mark Dawson books in order for his bestselling series John Milton, and his spin-off series Beatrix Rose, following with Isabella Rose (which is a spin-off from Beatrix Rose) and his historical thriller series Soho Noir. Phoenix (Beatrix Rose #3.5), 2017 – this novella is a prequel to both Beatrix Rose and John Milton series, it might be worth reading it first to get a glimpse of a young Rose and a pre-Group 15 John Milton. Mark Dawson was born in 1973 in Lowestoft, UK and spent his youth in Manchester, where he attended Manchester University studying law. Before training as a lawyer, Mark Dawson held several other types of jobs, such as being a DJ, an ice cream seller, and club promoter. After getting his law degree, he became a lawyer going after money launderers all over the world, and then as the lawyer of celebrities who were suing newspapers for libel. He started writing books in the early 1990s, but he didn’t have much success with traditional publishing, so he gave it all up for several years until the self-publishing industry really kicked in with the Kindle eBooks. He left his law career in 2011 and for a short time, he also worked as a film censor for the British Board of Film Classification. Since the income from his books by far surpassed the income from him watching movies all day long, he left that job and devoted his full time to writing thrillers. 2014 was so far the most productive year for the author Mark Dawson, with four books written in the John Milton series, one in the Beatrix Rose series and several short stories also completed. His first self-published novel, The Black Mile, which became the first in the Soho Noir historical thriller series, took him over one year to complete. Once he started working on the John Milton series, with the internet at his fingertips, research became much easier, so John was able to write and publish much faster. 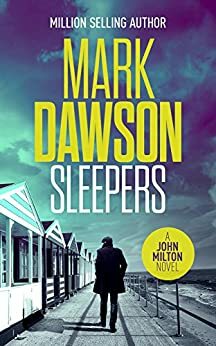 Besides writing his popular thriller series, John Milton, Mark Dawson has also created a Facebook marketing course for authors. After Jack Reacher left its mark on the genre, readers wanted more ruthless assassins, hitmen who went rogue, or finally found a conscience and decided to turn their ways around and help others rather than take them out. And so thriller authors, happy to ever oblige, started creating their new heroes, all reminiscent in a way or another of Jack Reacher. Authors like Tom Wood with his Victor the Assassin series, or Mark Greaney with his Court Gentry/ Gray Man series, and of course, the indie author Mark Dawson with John Milton, a British government sanctioned assassin who went rogue because he’s had enough of killing innocent people. Once I picked up the series, I couldn’t stop. 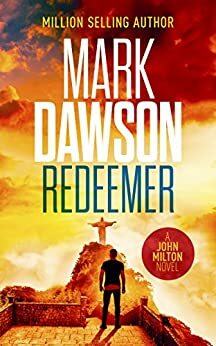 I bought each book (including the latest #11 book published in 2017, The Alamo) and I have finally managed to read all the Mark Dawson books in order for his John Milton series. I can highly recommend you start with the first book, 1000 Yards, the prequel novella, then continue with book #1 The Cleaner and work your way up. You will thank me for it because there is a continuity to the timeline of John’s adventures which you don’t want to miss. For example, the resolution to what happens in Salvation Row is given in Headhunters. If you read the books out of order, you might not understand what is going on and what is the history between the two main antagonists. The Beatrix Rose and the Isabella Rose series should be read in order as well. Isabella is the daughter of Beatrix who passed away recently, soon after the two women were finally reunited. 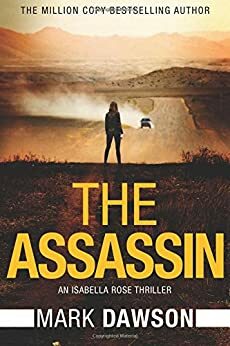 Now Isabella is working with Michael Pope and is on the run from the very people she used to work for as she is caught up in a conspiracy bigger than herself. When it comes to the books by Mark Dawson, they are all self-published and the author is really more the exception to the rule that self-published authors are creating inferior works compared to traditionally published authors. His books are properly edited, there is a wonderful flow to the story and his writing, and I honestly was surprised when I first learned that one of the big publishing houses is not releasing his books, but himself. Even the Forbes magazine printed an article a while ago about Mark Dawson saying that Amazon is paying him around $450,000 per year. Mark Dawson lives in Wiltshire with his family and his pets, where he works on his next book and co-hosts the Self-publishing Formula podcast for other authors, focusing on writing fast, well, self-publishing, and promoting via the popular social media networks like Facebook, Twitter, Youtube and other channels of advertising such as Amazon ads.